This is one of my cherished cake recipes that was given to me in 1996 by a fellow co-worker's mother. He claimed it was the "best lemon cake ever" so I naturally asked for a copy of the recipe. 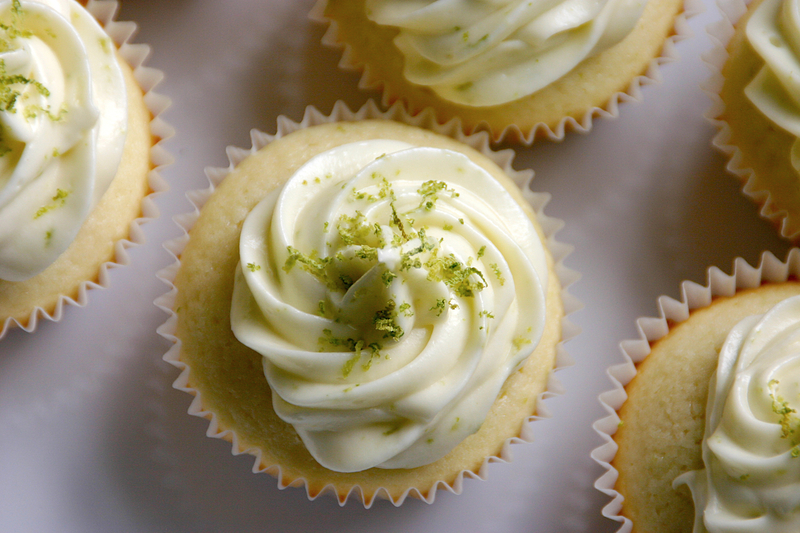 It has been my go to lemon cake for years. People who really like lemony desserts, love this cake as the fresh lemon icing is poured over the cake or cupcakes and absorbed into the cake producing a slightly dry crackly crust on top. Once the cake is completely cooled, sift confectioners sugar over the cake to finish or you can add a fresh berries, as well. This is one of my cherished cake recipes that was given to me in 1996 by a fellow co-worker's mother. 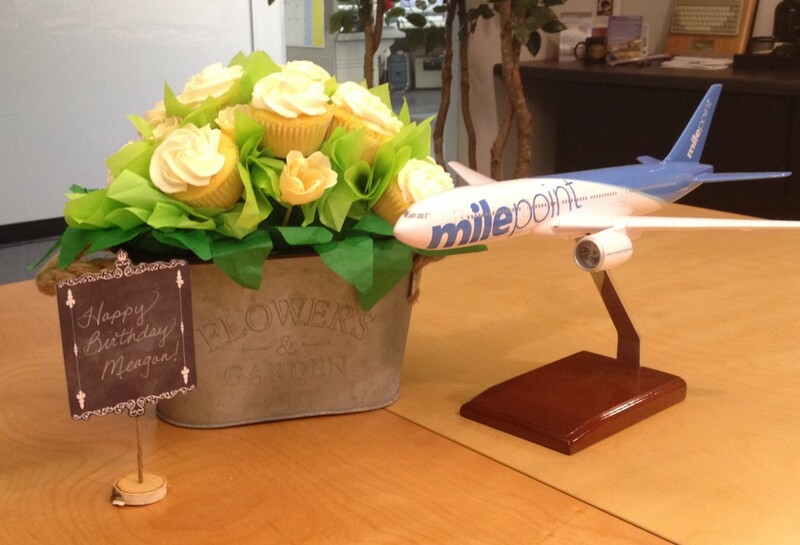 He claimed it was the "best lemon cake ever!" so I naturally asked for the recipe and it has been one of my go-to lemon cake for years. 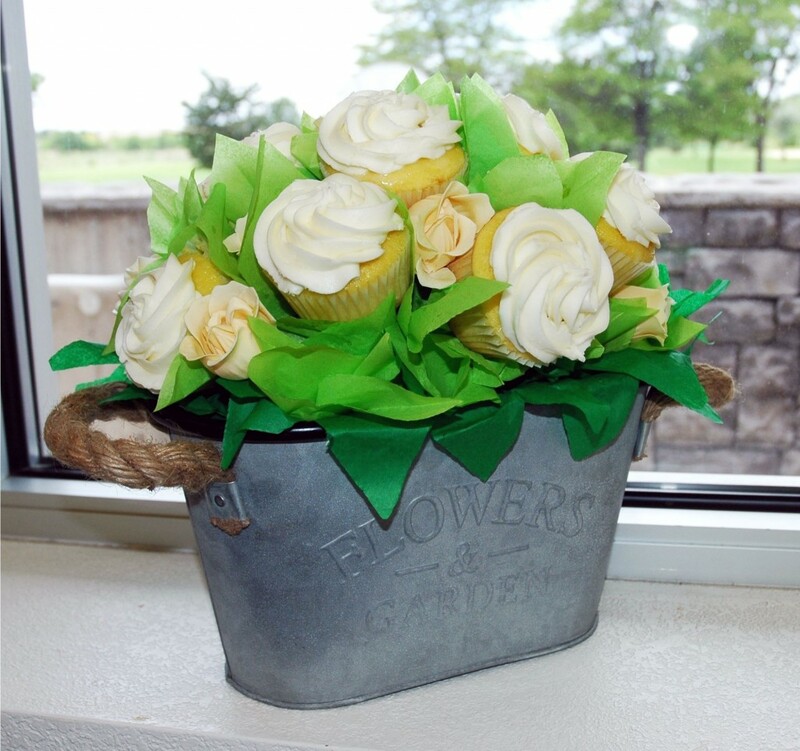 People who really like lemony desserts, love this cake with it fresh lemon icing that is pour over the cake or cupcakes and is simply absorbed into the cake producing a slightly dry crackly crust on top when it has dried. 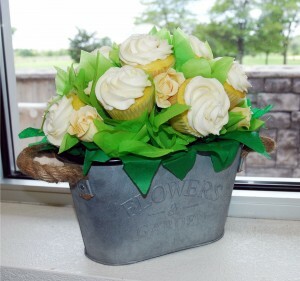 I sift confectioners sugar over the cake for finishing, or you can add a fresh berries, as well. It's a bit of a "cheater cake recipe" as a box cake mix is the main ingredient, but it's very moist and lemony and most of us don't eat cake everyday, or do they? 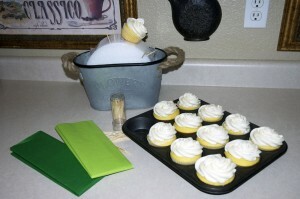 I will have to experiment with my scratch lemon chiffon cake recipe and will let you know how it come out. 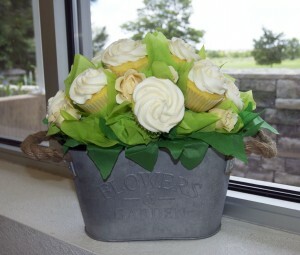 I added lemon butter frosting to my cupcakes as a friend had a birthday today and I make this cupcake bouquet for her. Step 1 Preheat the oven to 350 degrees (180 C). Butter a 9x2x13 glass baking pan or prepared cupcake tins. Makes 24 cupcakes. Step 2 Whisk together the eggs, water and oil. Blend well. Step 3 Add the cake mix to egg mixture and combine thoroughly. Add the vanilla. Step 5 Bake for 35 minutes. Turn off the oven and leave the cake in the oven for an additional 5 minutes. 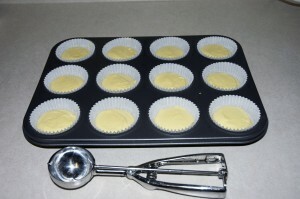 Step 6 While the cake is baking combine 2 cups of powdered sugar with the juice of 2 lemons and 2 tablespoons of oil. Mix well until smooth and there are no lumps. 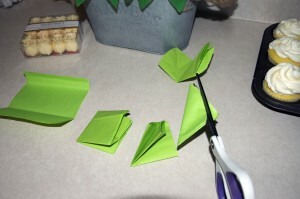 Step 7 When the cupcakes have been removed from the oven, use a fork to carefully poke wholes on the top of each cupcake. 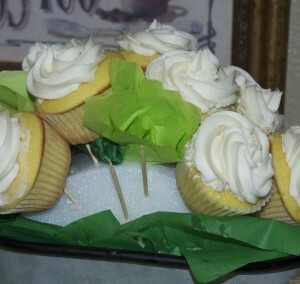 Pour approximately 1-2 teaspoons of icing over each cupcake. The icing will absorb into the cupcake for a rich added tartness. 3 cups of confectioners sugar, sifted. Place all ingredients into a large bowl and mix with a hand mixer or with the whisk attachment of a stand mixer. Choose a container of choice and place a styrofoam ball or cake form into your container and place skewers or toothpicks (two tooth picks for each cupcake, in the syrofoam. 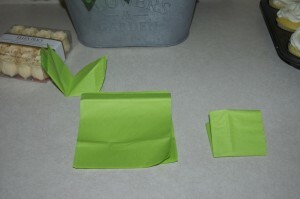 Place green tissue paper around the edges of the container for the look of green leafs. 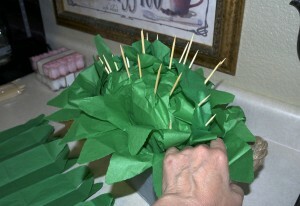 Add green tissue over the toothpick area, as well, pushing the paper down between each pick to cover styrofoam. Leaves: Cut several squares of light green tissue paper and fold four times, then fold two corners together making a triangle. 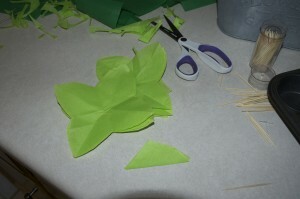 Cut a leaf shape, cutting at folded end and ending at the corner. With a pencil or narrow tool, push the leaf into spaces between the cupcakes.